​Nancy Narrett, LGPC brings a wealth of experience to her counseling practice having worked extensively with children, youth, adults and families. She understands that the stream of life can be difficult and challenging to navigate. Offering supportive guidance, Nancy collaborates closely and creatively with her clients to help strengthen the skills and develop the tools necessary to tap into one’s own inner resources, creating and building the foundation for change. Nancy graduated from Notre Dame College in New Hampshire with a Masters Degree in Counseling and Psychotherapy. Additionally, she has a Masters Level Certification of Advanced Study in Pastoral Counseling and Spiritual Care from Loyola University-Maryland. Prior to private practice, Nancy served as Program Director of an Alcohol and Drug Treatment Center and is experienced in working with individuals and families struggling with the impact of substance use disorder. For many years, she served as Director of Faith Formation and Spiritual Development. Nancy has experience in providing care for individuals of all faith traditions and all stages of life. She is grounded in the belief that human connectedness can serve as a pathway to healing. 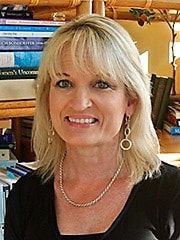 Nancy weaves her expertise in counseling theory and technique with her passion for promoting personal growth and individual wellness. She believes deeply in the resiliency and strength of the human spirit and has faith in the unending potential for hope, transformation and change.